In lieu of Facebook’s reputation struggles, as well as changes to their Newsfeed, many publishers are considering YouTube for both inventory and audience development. 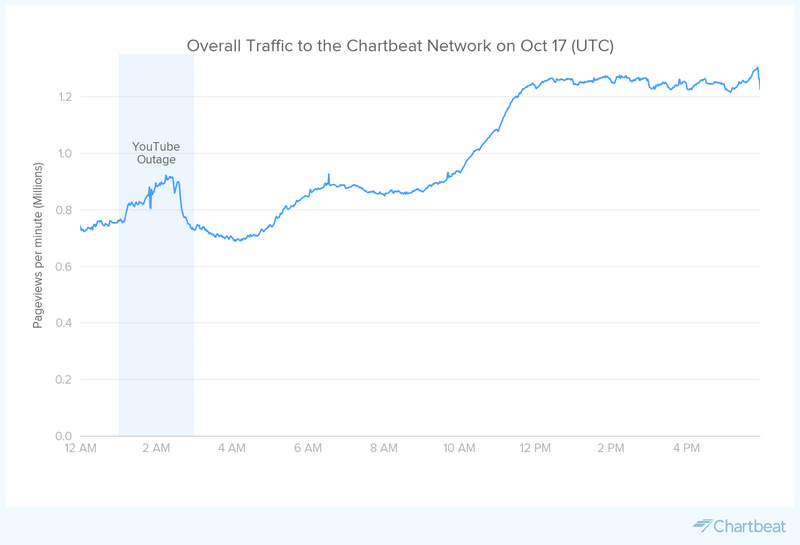 As digital video consumption rises, publishers see YouTube as an obvious opportunity. Marketers do, too – but they’re also growing increasingly weary of brand reputation across the platform. In looking at our own data at MediaRadar, the numbers bear that out. Across a sample of 70 top YouTube channel pages, advertising spend has been flat in 2018, with only an 0.2% increase YTD. Publishers and marketers alike both want to tap into YouTube’s exploding audience (nearly 1.6 billion watch YouTube content at least once a month right now). But for this to be a go-to platform, there’s work to be done. To YouTube’s credit, they’re taking on the work. At the company’s NewFront, YouTube talked up its newly expanded Google Preferred lineup, emphasizing its top channels as premium, brand-safe environments. They also touted the increase in human reviewers auditing content. However, as the Oath study shows us, the effort to resolve brand safety and win back trust from now burned and cautious brands will be slow-burn and long-term. As that process continues, high-quality digital publishers are in a good position either way. While YouTube addresses trust, more marketers will flock to the service. This, in turn, could boost revenue opportunities for the publishers that want to play in that sandbox. In the interim, however, digital publishers are still the beneficiaries. The Oath report also found that 45% of advertisers are moving spend to “well-regarded premium” digital publishers — think sites like USA Today, BuzzFeed, The Huffington Post, and The New York Times — until they feel standards have improved on social platforms like YouTube. It’s a win-win for publishers, with brand safety a key theme both now and in the future. 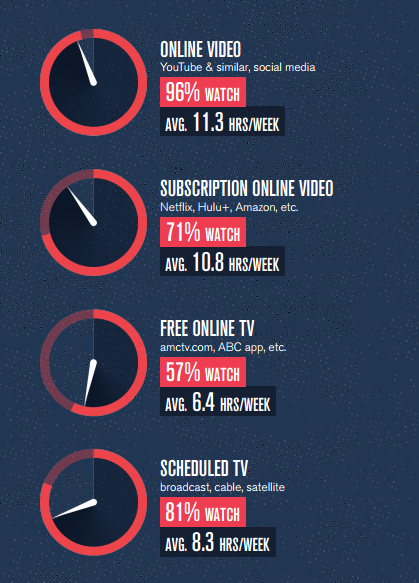 DEFY Media has announced findings from its third annual ACUMEN Report: Constant Content. The report, conducted in partnership with Hunter Qualitative and KnoWhy Research, focused on teens and young adult Millennials to examine their content consumption. 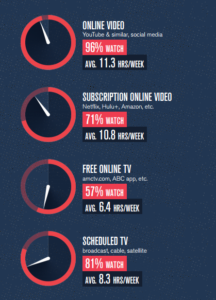 According to the report, digital dominates their content consumption with 13-24 viewers revealing a considerable 11.3 hours weekly watching “free” online video and 10.8 hours of subscription online video weekly – nearly twice the time reported for free online TV offerings from broadcast and cable networks (6.4 hours) or 8.3 for regularly scheduled TV. And, while 96% of those surveyed say they watch online video, only 57% watch free online TV and 56% watch recorded TV with no differences across the age range. This segment also finds online personalities to be the most relatable and influential. For the millennial set, YouTubers are the today’s role models. Among the younger 13-17 segment, 32% responded they are more likely to look up to a YouTube personality over traditional celebrities, while the older 18-24 set reported a slightly higher affinity towards TV and movie stars (36% vs. 26% for YouTubers).